Biscotti are always welcomed with a cup of strong coffee or a steaming cappuccino no matter the time of day. If I’m at a cafe I look to see what the selections are, and if there is a biscotti flavor combination I’ve never tried before, I get it. You would think that a bad biscotti is hard to come by, but believe me, it does happen. There have been several biscotti from certain bakeries which have left me wondering what went wrong. Don’t even get me started on the ones from the supermarket! Making these at home is so simple and so worth one’s while. A number of flavor combinations can be made to satisfy a craving and, of course, there is always the question of whether one should slice baked biscotti on the thin or thick side. What about the cookie’s depth? I’ve seen biscotti that are well over one inch high and yet, I’ve seen those which barely reach half an inch. Ultimately those decisions are up to the baker and I have no preference. 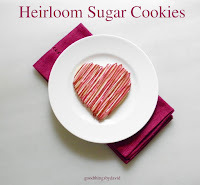 As long as one uses good ingredients to begin with I don’t mind if the cookies are short, long, tall, thin or thick. Make them good! Yes, biscotti are twice-baked and rather dry, so if you’re the type that likes to dunk then there is no problem. However, if you don’t like to dunk, these cookies can be rather problematic if they’re twice-baked just short of hard granite. Herein lies the question of how long to bake them the second time they go into the oven. Let me make it easy for you: Chocolate Chip Biscotti. 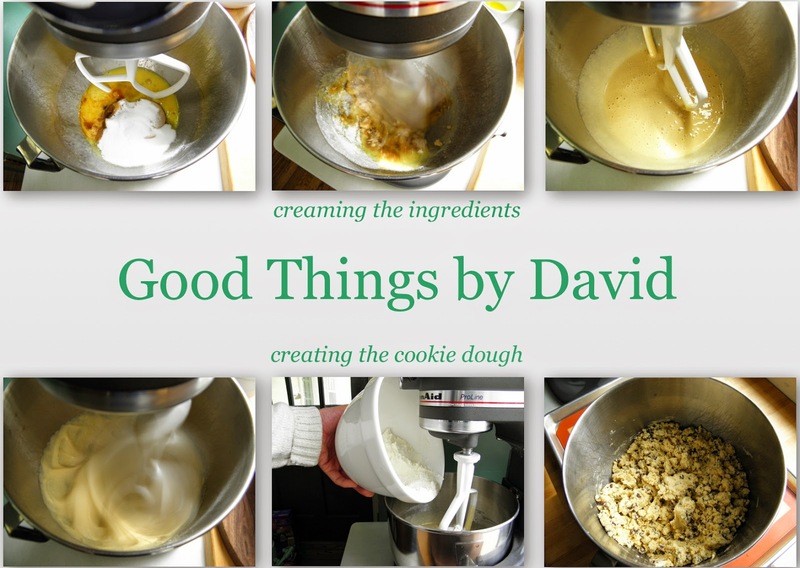 This recipe is simple and very delicious so I want all of you to make some this week. You're going to love them. In the bowl of a stand mixer fitted with the paddle attachment, beat the eggs, granulated sugar, light brown sugar and vanilla extract on medium speed until thickened, 2-3 minutes. Add the melted butter and beat until combined. In a medium-size bowl, whisk to combine, the all-purpose flour, baking powder and fine sea salt. Add the ingredients to the egg/sugar mixture on low speed. On low speed, add the chocolate chips and beat just until combined. Stop the machine. Divide the dough in half on top of a silpat-lined or parchment-lined baking sheet. Using a bench scraper, shape each half into a log approximately 10”L x 2-1/2”W. I use the bench scraper to create a rectangular log. Pop the baking sheet in the oven & bake for 30-35 minutes. The logs will feel set and will be golden in color. Turn your oven off. Let biscotti logs cool completely on wire racks. When ready, preheat oven to 325° F (163°C). Slice each log with a serrated knife into 1/2” slices and place cut side down on lined baking sheets. Bake for approximately 15 minutes to dry out the biscotti. The cookies should not take on any color. 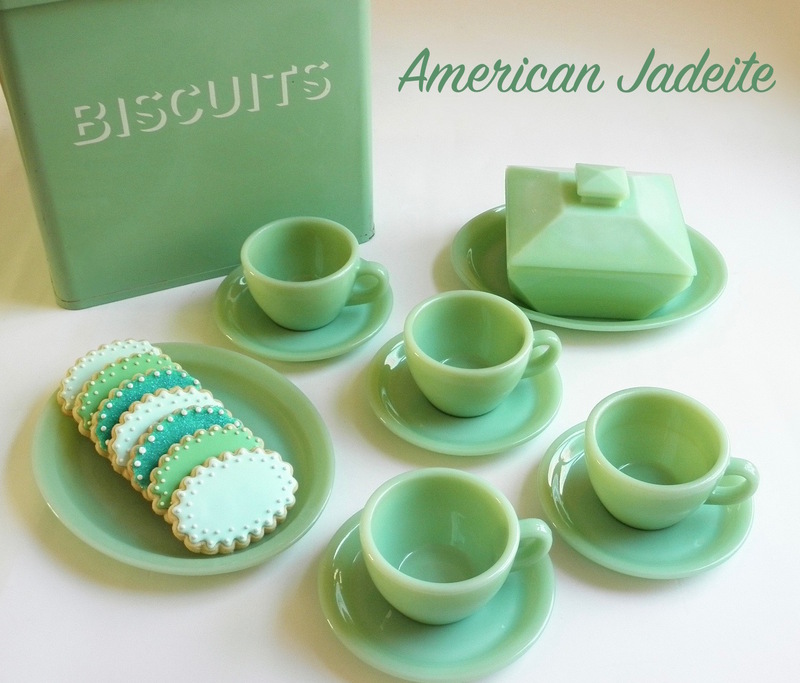 The cookies can be stored in a cookie jar for up to one week. 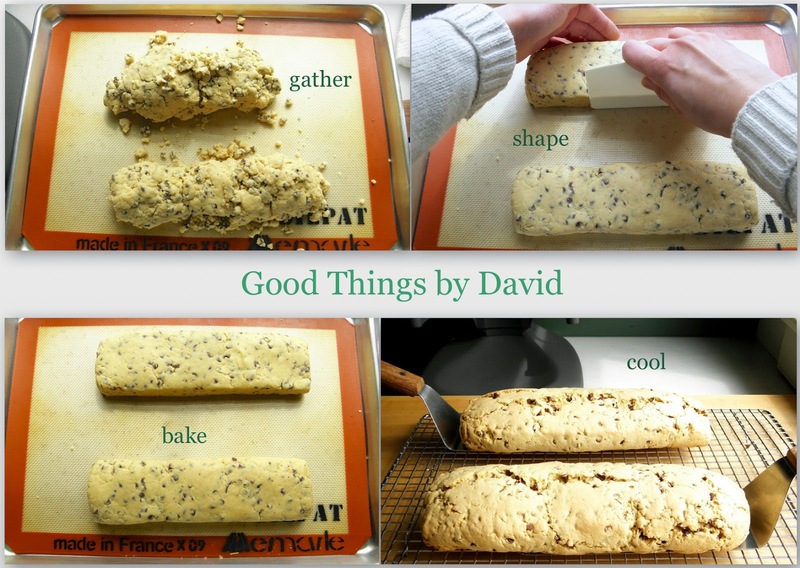 Chocolate chip biscotti are a favorite with my mother in law and I love to eat them whenever she bakes any. If I don’t happen to be at her home near the shore, then I bake my own. Of course my biscotti will never get anywhere near the caliber of hers, but nevertheless I feel that these are worthy of any cookie jar. I've been known to have one or two in the morning with my espresso, but invariably, they're nibbled in the afternoon when I have my tea. I love it! You know, for those who are health conscious, these don't really contain a lot of fat or sugar. This is why I can eat several and not feel guilty. 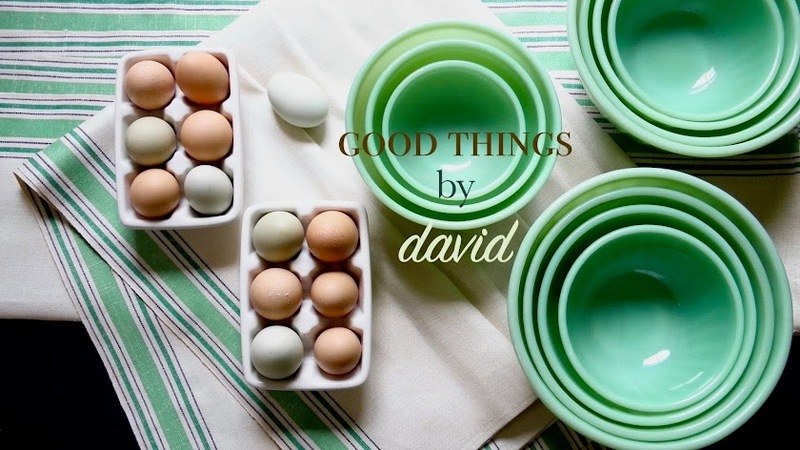 Always open for new recipes, I will certainly be trying yours, David. I have a real Italian recipe that I use, from a real Italian friend, and it's a no-fail tender cookie, every time. I'm also trying to be gluten-free; can I sub out the flour for GF variety? Nancy, I think a gluten-free flour would work wonderfully here. Give it a try and let me know how they come out. Do share that authentic recipe of yours! Post in on your blog, because I'd like to try it out. Will do, my friend! It makes a HUGE batch. I happen to have some dried cherries and a bag of almonds, just begging to be put into a batch. After all, I need a picture to go along with the recipe, yes?